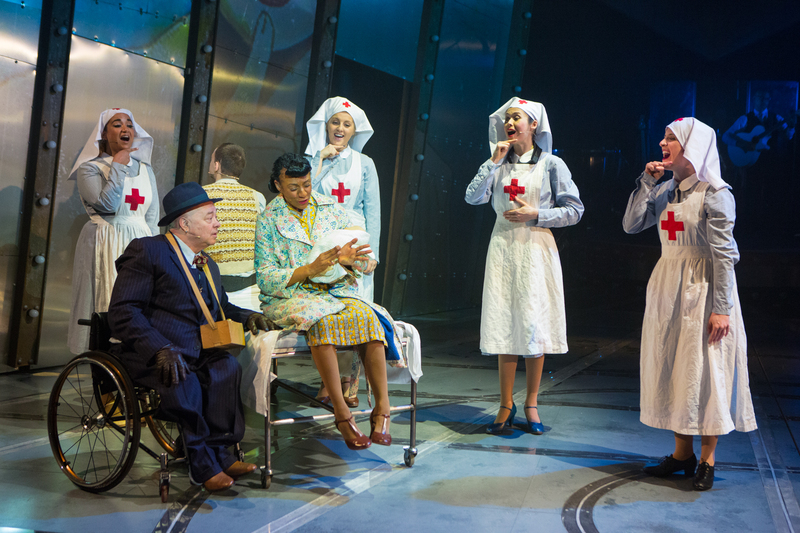 Review: Tommy at Nottingham Playhouse. – East Midlands Theatre. 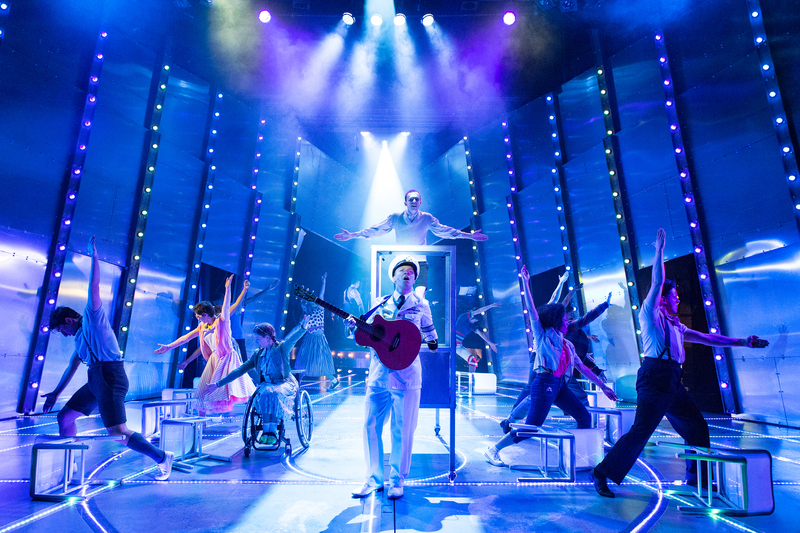 The Who’s Tommy, currently setting the stage on fire at Nottingham Playhouse, is a ‘ Triple Sensational Triumph’ by an electric company of deaf, disabled and non-disabled performers! This is a New Wolsey Theatre Ipswich production in co-production with Ramps On The Moon. Tommy is so brilliantly and energetically done it is worth seeing at least three times; once for the first immediate ‘wow’ effect; secondly to re-consider how the style pushes the audience to admire and believe in new ways of presenting theatre for all types and needs of audiences; and thirdly because twice is definitely never ever enough to see this fantastic show! The Who’s Tommy has music and lyrics by Pete Townsend, the book is by Pete Townsend and Des McAnuff with additional music and the lyrics by the late John Entwistle and Keith Moon. 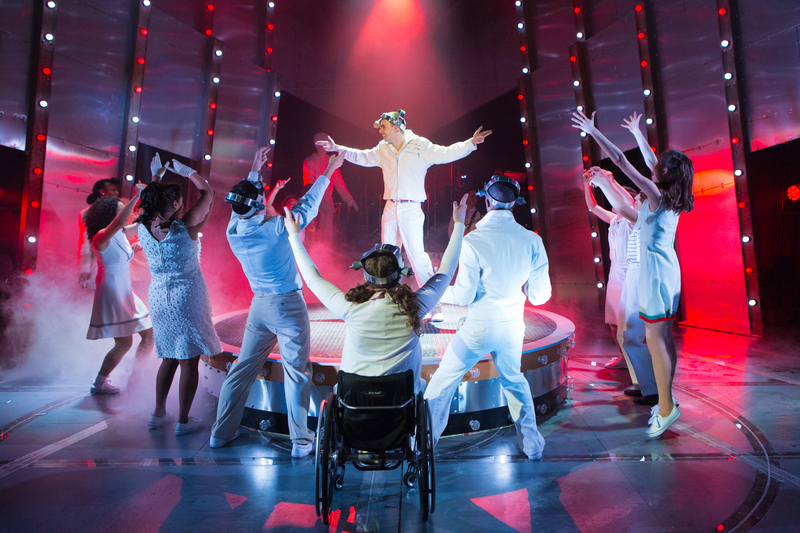 For this show, directed by Kerry Michael, there has been further collaboration with Pete Townsend to develop the story of Tommy in lyrical terms, in modern conceptual terms and, with the addition of signing and the introduction of an exciting and inclusive disability aesthetic. Creatively, a new song has been introduced to continue the story of The Acid Queen who previously appears only in the first half. The musical director for the piece is Robert Hyman. 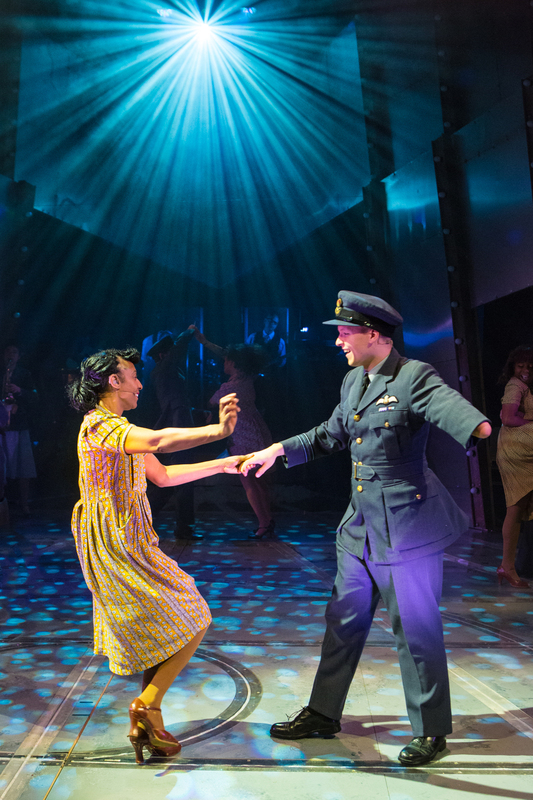 Choreography is stunningly realised by Mark Smith and the use of signing by all members of the cast throughout adds its own special magic to the show taking it well beyond the accepted norm of musical theatre. Set and costume design are by the talented Neil Irish and the lighting and all important AV design is by Arnim Friess. The superb sound design is by Andrew Johnson for Creative Technology. Equally vital in this production are the BSL Creative Consultants Jeni Draper and Daryl Jackson. Eight theatre companies have been creatively and collaboratively responsible for this exceptional theatrical event. 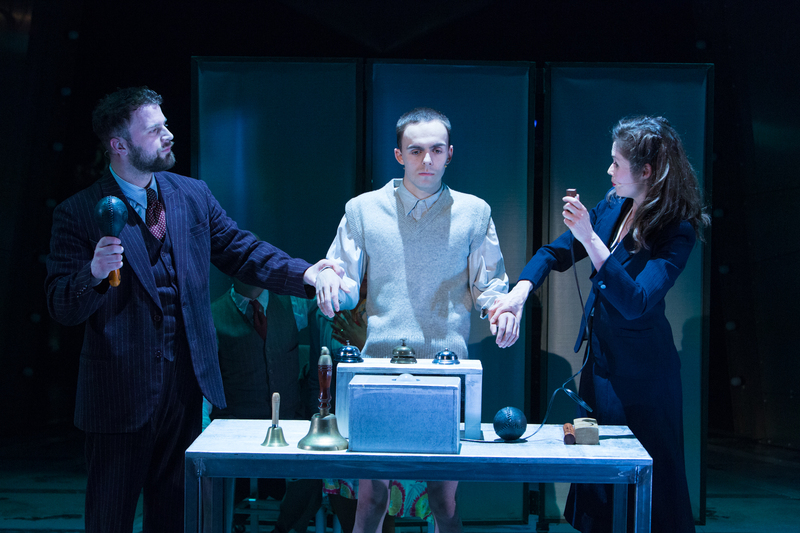 They are New Wolsey Theatre Ipswich, Nottingham Playhouse, West Yorkshire Playhouse, Birmingham Repertory Theatre, Theatre Royal Stratford East, Sheffield Theatres, Ramps On The Moon and Graeae Theatre. At the heart of this and similar evolving and artistically important productions is Graeae, who rightly consider themselves to be ‘ a force for change in world class theatre -breaking down barriers, challenging preconceptions and boldly placing d/Deaf and disabled artists centre stage’. There are some stand out performances in this large cast show. In the titular role as Tommy deaf actor William Grint is compellingly good throughout as are the ‘voices of Tommy’ played and sung by Matthew Jacobs-Morgan and Julian Capolei. As Tommy’s Father and guiding angel, the vocally assured Max Ruham is exceptional. Alim Jayda plays Frank – Tommy’s step father with conviction and delivers another fine acting and singing role in a demanding production. 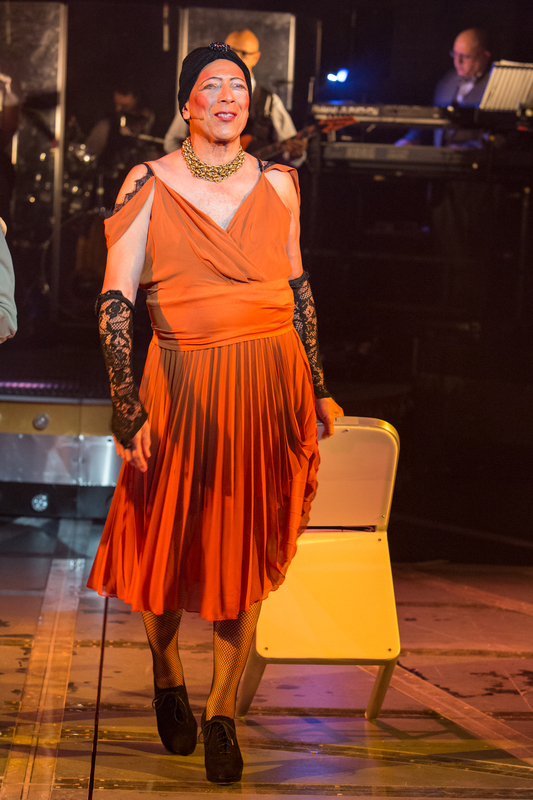 Graeae favourite Garry Robson initially brings across a kindly benign wheelchair bound Uncle Ernie, a sympathetic invalided character from war torn Britain. Then the real Uncle Ernie is revealed as the vulnerable boy Tommy is left in his charge only to be violently abused by the predatory uncle. Lukas Alexander is ‘wicked’ as the bad boy sadist, Cousin Kevin. As The Acid Queen Peter Straker (above) is utterly brilliant and delivers his two songs with great camp and a vast degree of vocal majesty. Amy Trigg (last seen at Nottingham Playhouse in The Glass Menagerie) surprises with a superb singing voice and lovely performance as Tommy devotee Sally Simpson. Donna Mullins is tear jerkingly sensitive as Tommy’s mum Nora Walker and Shekinah McFarlane vocally breaks one’s heart as Voice of Nora. The two act as subtle shades of each other and the doubling effect is persuasive as well as a powerful theatrical device. 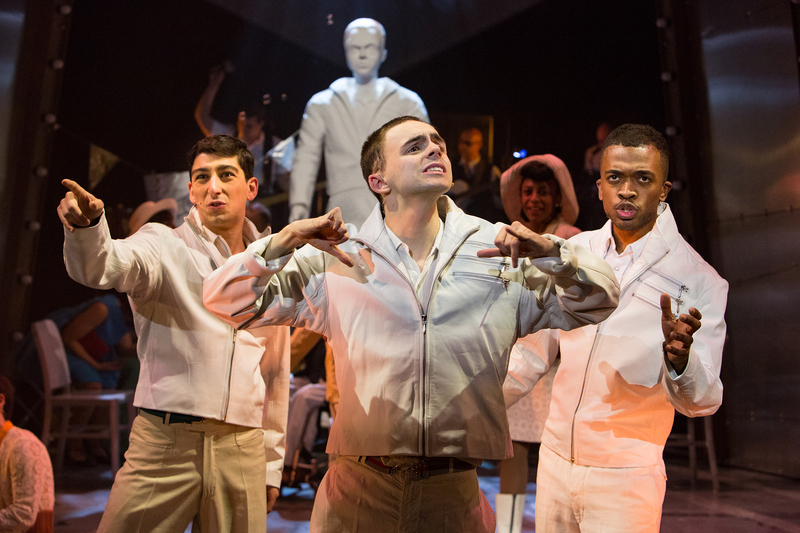 The entire quadruple threat ensemble work very hard and with great joy and focus to bring the multiple theatrical dynamics of The Who’s Tommy to the stage at Nottingham Playhouse. All the music and songs are delivered with great gusto and the whole thing is an aural and visual delight to behold. There are no disabilities here, only audience ovation for a greatly applauded musical theatre success that properly pushes the boundaries within the hearts and minds of the rapt audience. A must see, a must hear and a very touching theatrical affair. Tommy runs at Nottingham Playhouse until Sat 29 April.